Last week, the weather started to get a little chilly, the perfect indicator that fall is here. Unfortunately it didn’t really stick around, as it’s back in the low 80s this week. Womp womp. I want my fall weather, dang it! 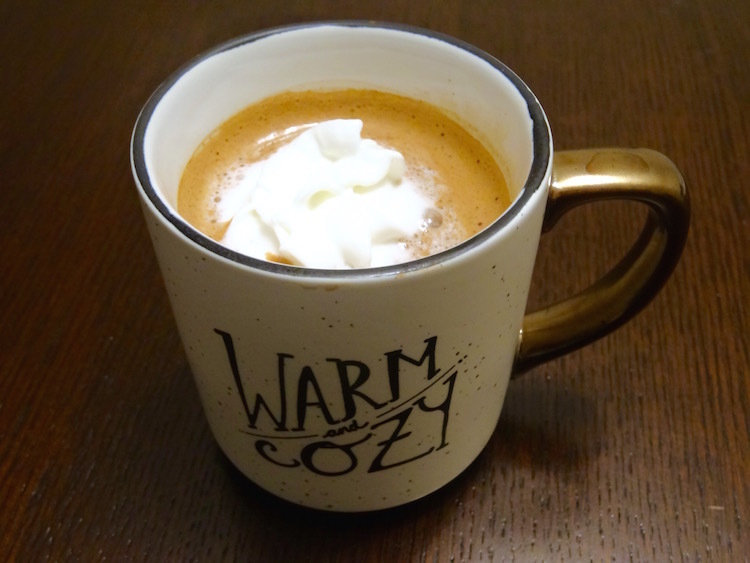 While the cooler weather stuck around, I totally took advantage of it and enjoyed some hot drinks at night. 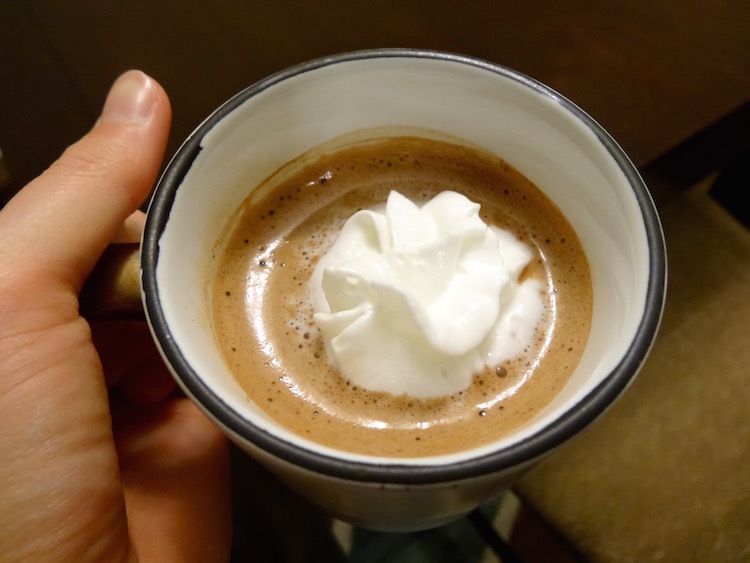 One of my favorite drinks of all time is hot chocolate. It’s so rich and creamy and chocolatey; there’s just nothing it can’t fix. Plus, it’s easy to kick it up a notch or two with extra flavor. 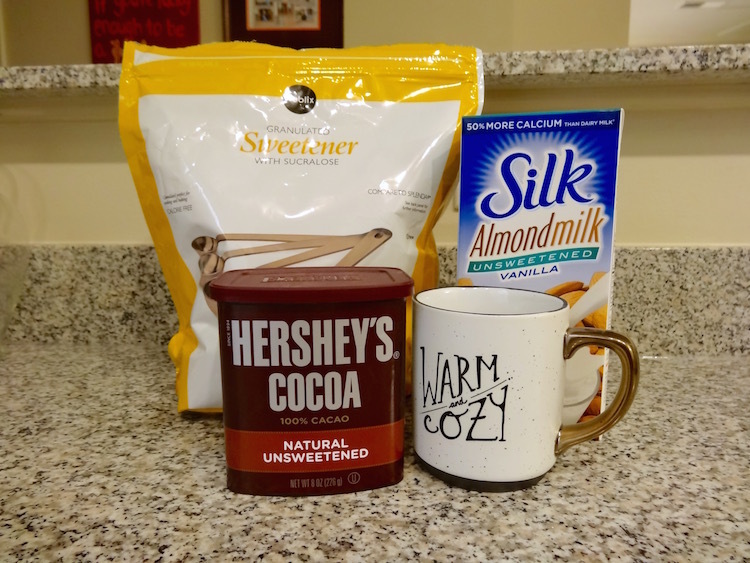 So today, in honor of fall being here and my favorite warm-weather drink (coffee aside, obviously), I’m sharing the best-ever homemade hot chocolate recipe. And as an added bonus, it’s low-fat and I think it’s even vegan! I’m totally not a vegan, but it works if you do practice a vegan diet. I figured out this recipe in the last few years, and I haven’t strayed from it. It’s so easy and can be made in minutes. And the recipe can easily be doubled or tripled to share with your friends. Any desired mix-ins (I added 1 tsp pumpkin pie spice… oh my goodness). 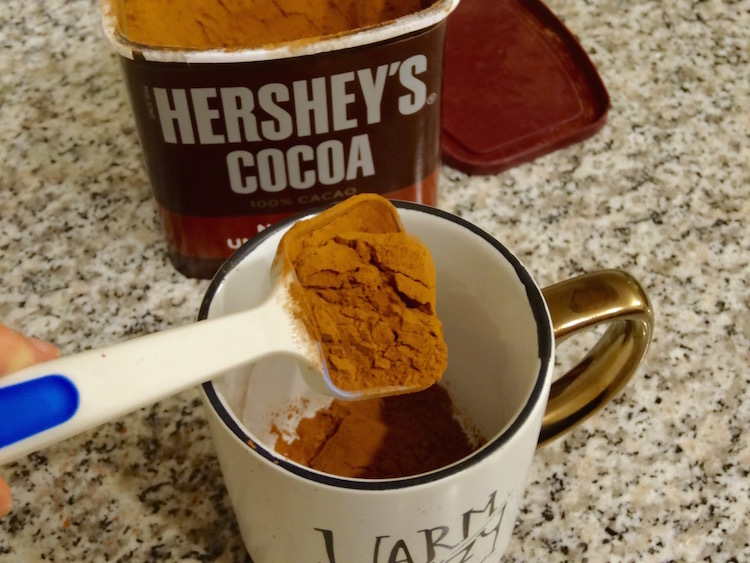 Add the cocoa, sweetener and water to a mug. Stir until combined into a thick paste. Heat the milk until it’s warm, about a minute and 30-45 seconds. Heat the paste for about 12-15 seconds, as well. Pour the milk into the cocoa mixture. Add any desired mix-ins. Stir until smooth and creamy. Top it off with whipped cream, marshmallows or anything else you think would be delicious. This wouldn’t exactly make it low fat, but it’s a nice touch. 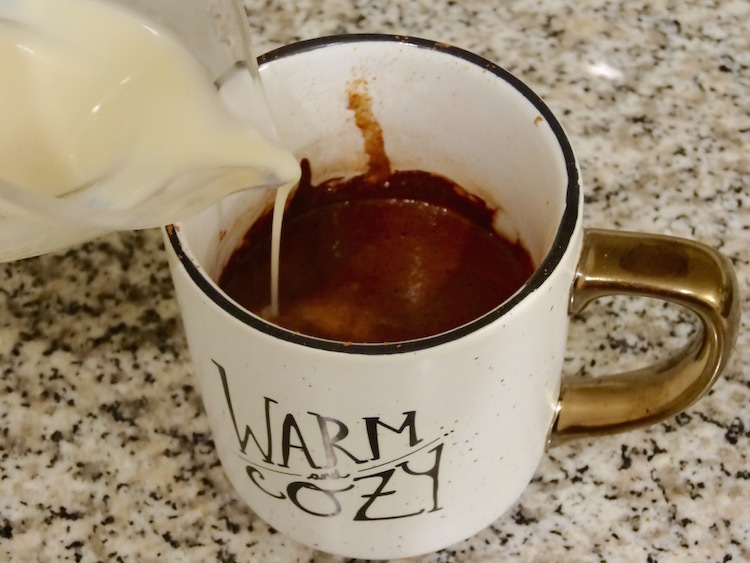 I’ll never turn down a cup of warm, rich, delicious hot chocolate, especially if it’s homemade. Nothing can be it, especially on those chilly fall evenings when I’m wrapped up in a blanket on my couch. What’s your favorite fall drink? 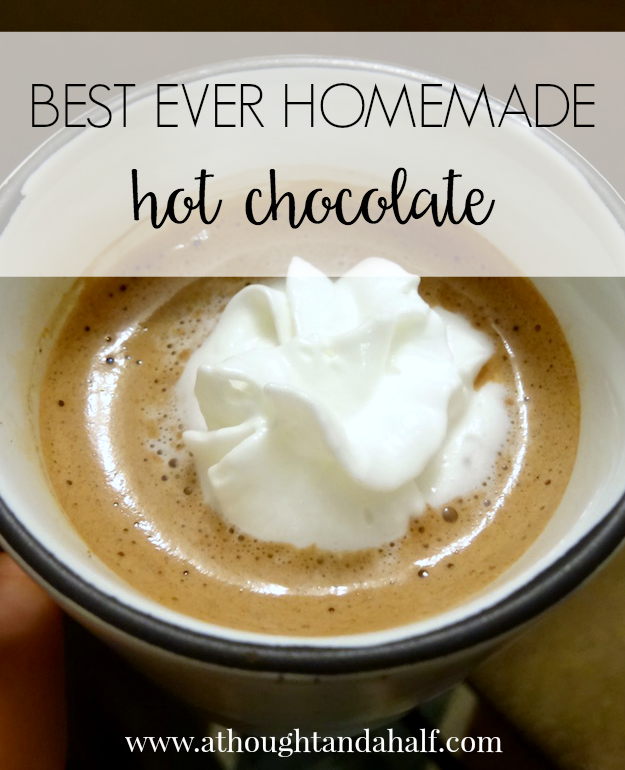 Have you ever made homemade hot chocolate? What’s YOUR best recipe?